FMCBC April e-news: The Tetrahedron Provincial Park saga , our newest members, executive openings, and more! Tetrahedron Provincial Park, just east of Sechelt, was established in 1995—in part to provide a pristine watershed for the Sunshine Coast. Due to years of Sunshine Coast Regional District inaction, development on the lower Sunshine Coast has surpassed the ability of the SCRD to provide adequate water in summer. Redesignate all, or some, of the park to allow the works to occur. Under the ELUC Act it could be designated as a Land Act Section 17 watershed (no longer Section 16, formerly Section 12) which allows the Minister to approve any activities that he considers compatible with providing community water supply – which under current policy could include logging. The demise of the Tetrahedron provides nothing more than quick relief yet the park will be permanently ruined. What park will be next? Read more on our blog. We’re looking for a few individuals to fill the following Executive Officer positions within the FMCBC: Vice President, Treasurer, and Secretary. This is a great chance to support our organization and help shape its future (and work alongside a solid bunch of folks, of course). If you’re interested in putting your name forward, please email Barry Janyk at barry.janyk@mountainclubs.org. The positions will be voted on at our upcoming AGM in Victoria in June. The Vice President and Secretary can reside anywhere in BC, but we’d prefer the Treasurer to be based in Victoria (for ease of cheque signing). For more details on what your duties would include, click here. AGM registration. Our next AGM is in Victoria over the June 8 - 10th weekend. Please register by April 30th , especially if you need billet accommodation. Member Club Grant application. The deadline for submissions is April 30th, and the grants will be awarded at our AGM in June. Please help us welcome the Squamish Access Society, our first Associate Member, and the East Kootenay Outdoor Club, our newest Member Club. You can read all about the SAS on our blog, and look out for a profile of the EKOC in an upcoming e-news! And of course, many great book reviews, backcountry tales, mountain news, and more. If you’d like a print copy, email your name and mailing address to cloudburst@mountainclubs.org and we’ll happily send you one as soon as it’s out. Just like last year, we're partnering with a high school in Victoria to make our trail markers. If your club would like to purchase some, please let Jodi know at admin.manager@mountainclubs.org. We should be able to offer them for about $.50 each and they will hopefully be available for pick up at the AGM. 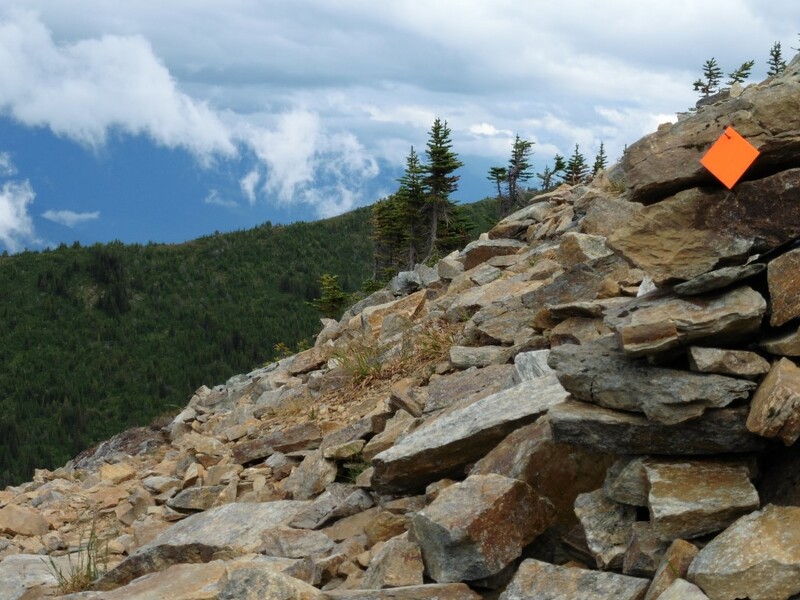 For more information on what's happening with Chapman Lake in Tetrahedron Provincial Park, including maps, photos, and letters, be sure to check out Backcountry BC's coverage of this major issue. The Outdoor Recreation Council of BC released their 2018 Endangered Rivers List. Leading the list are a number of BC steelhead streams, as well as the stretch of the Fraser between Hope and Mission, widely referred to as the “Heart of the Fraser.” Read the full list (PDF). 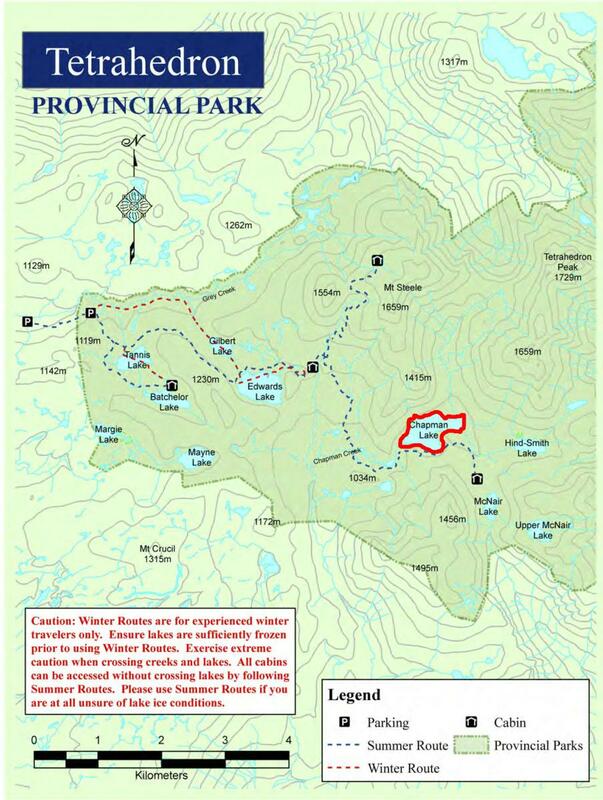 BC Parks just opened the first backcountry group site that accepts reservations: Croteau Lake campsite in Strathcona Provincial Park. 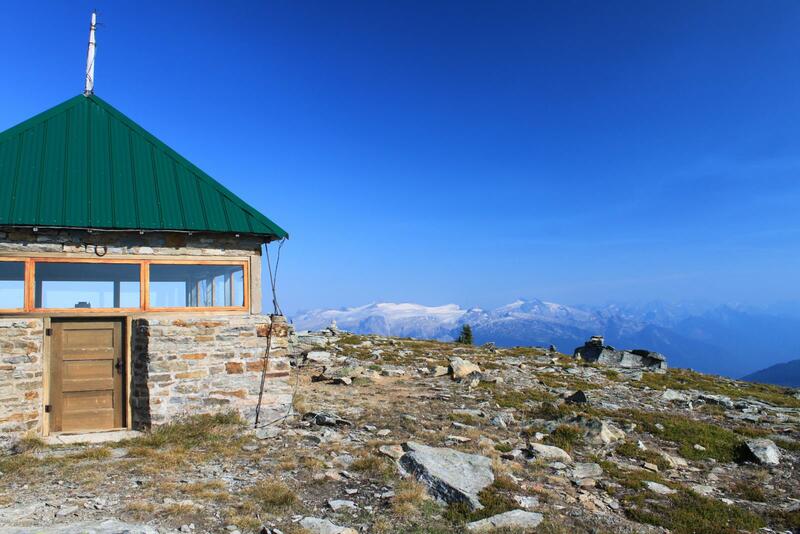 The campsite features 12 tent pads, a day use yurt, bear caches, and a state-of-the-art composting toilet. Read all about it. Wildsight is seeking a student Communications and Engagement Intern to join their team for the summer. The deadline for applications is April 30th, 2018. More info. Congratulations to all the winners of this year's Wild Postcard Project! Keep an eye on the WPP Facebook page for posts featuring the artists and their artwork. The Banff Mountain Book Competition is now open through June 29th. This internationally recognized literary competition celebrates mountain literature in all its forms, and awards over $16,000 in cash annually. Learn more. Thanks to Andrew Wong of the North Shore Hikers for this month's feature photo of a club snowshoe trip to Joffre Lakes Provincial Park on March 3, 2018. The photo shows the group—Randall (NSH member) and guests Joan and Alex—on Upper Joffre Lake heading to the summer campsite, their turnaround point. They used the summer trail—also the standard winter route—to get to the lake. The trail was busy with snowshoers and skiers, but it felt quiet when compared to the overwhelming crowds of summer visitors. Despite the conditions, there were also a few improperly equipped tourists who braved the steep and slippery sections of the trail. Fortunately they got back to their car without incident…lessons learned for another day, hopefully. 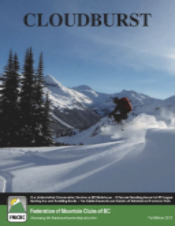 Click here to view our Fall/Winter 2017 issue of Cloudburst.